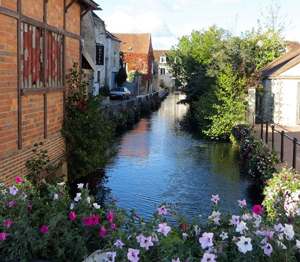 If you go to any wine region its really tough to get to all of the great wineries. That happened to me in the summer of 2008 and spring of 2009 when I visited Oregon’s Willamette Valley. Domaine Drouhin was on my target list both times but for a variety of reasons I never made it to the winery. 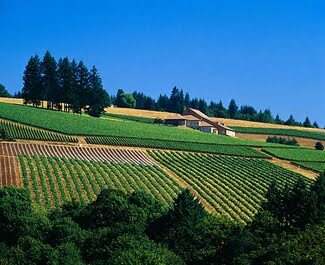 Drouhin is a well-respected French name that bought property in Oregon early in the rush to start producing Pinot in this great area. They even sell their French wines in the Oregon winery. I finally tasted their Pinot Friday night and it certainly lives up to its reputation. A young man at Wabash College, from Portland, brought me a bottle as a gift for allowing him to store a lot of his personal items in my home over the summer. I opened the 2006 Domaine Drouhin Willammette Valley and immediately got week-kneed at the nose. I think if I keep drinking Oregon wine – which I will – I could blind sniff Oregon wine and pick out the soil from just the nose! The wine was a very clear and ruby red color that was beautiful in the Riedel crystal I dug out for the occasion. On the palate it was medium-bodied with a spicy and earthiness that only great Pinot can deliver. There was a sense of muskiness that I love in a Pinot along with a hint of strawberry.This is a very well-make, silky wine. This wine consistently has been rated 89-91 by the national review publications. This is what I call the classic “next tier” of Oregon wines. Most of the wineries have something around $30 or just under and the next price point tends to be $40-$45. This retails at $39.95 though I did find it up to $44. It’s a great representation of the better Oregon Pinots. 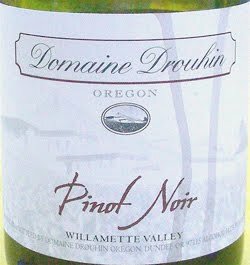 If you can’t find Drouhin, find an Oregon Pinot Noir.